ready to ship within 24 hours of purchase. What do you see when you look into a mirror? Want to... Reverse time? ... Look years younger? ... Defy your skin's age? Read until the very end to find out how! But you don't need experts to tell you what you already know every time you look in the mirror. And suddenly, one day you wake up and you're MIDDLE AGED! But that's not necessarily how it has to be! Women who never seem to age. You know the women I'm talking about - The lucky few who don't have to worry about fines and wrinkles. Who's skin is as flawless today as ever. Who's don't need to get work done. Who don't need painful injections. 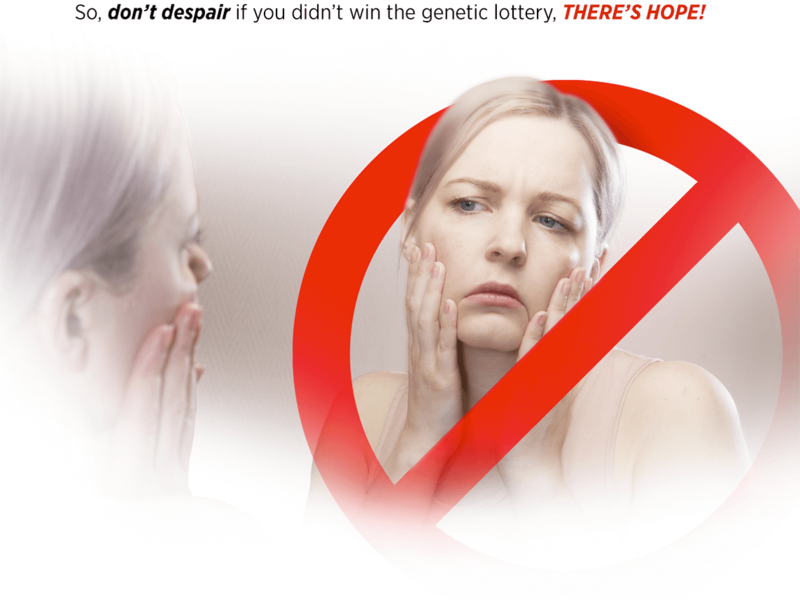 Only recently has science stumbled on a remarkable beauty BREAKTHROUGH that now links tragic moment in your 30's to a sudden drop in BIOENERGY in your skin cells. It turns out there's a genetic fingerprint that gives a lucky few AGELESS SKIN. ...And, if you read this presentation UNTIL THE END, we'll tell you how can have he SAME ADVANTAGE. 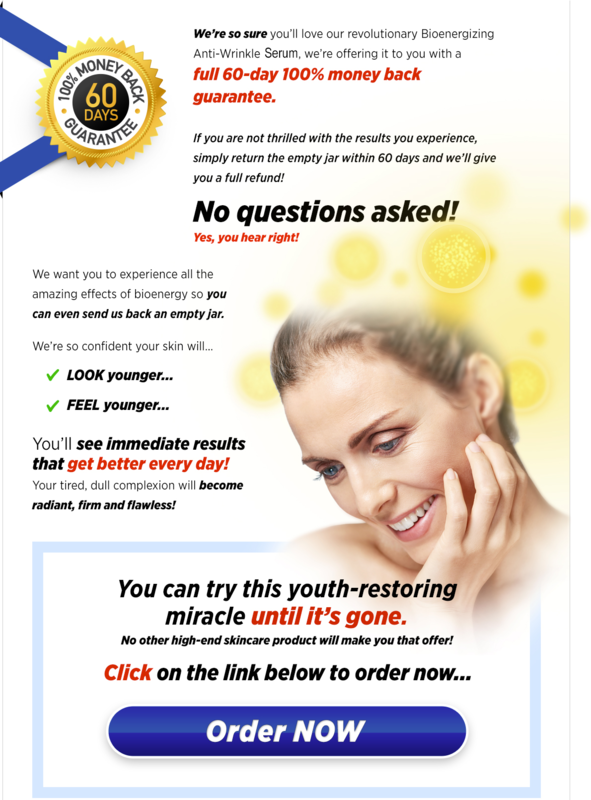 You'll discover how a YOUTH-RESTORING MIRACLE can trigger the same age-defying results IN YOUR OWN SKIN. Surprisingly, the hub of bioenergy research and the BEAUTY BREAKTROUGH has been limited to a handful of companies located in Silicon Valley. aging... AT THE CELLULAR LEVEL! For a more youthful, vibrant complexion... And younger looking, younger acting skin. age, and how that effects your appearance. through their 70’s – A cross section of different women and skin types. ...who’s skin defied the rules of aging. Women who looked to be 30 but were really 55! As we know, in the average woman bioenergy declines naturally in her 30’s. But with the exceptional agers, bioenergy levels keep going and going as if the women are still in their 20’s! Simply DOESN’T HAPPEN for these women. THE SECRET TO AGELESS BEAUTY! You see, I spent more than 15 years with 2 major beauty companies in product and development. truly helped women look and feel younger. best ingredients science had to offer. Simply put, it is the ENERGY your cells need to FUNCTION. revving up your cell’s metabolic engine by raising your skin’s bioenergy level. Patented Matrixyl 3000 technology uses a combination of peptides, to jump start natural collagen and elastin production. 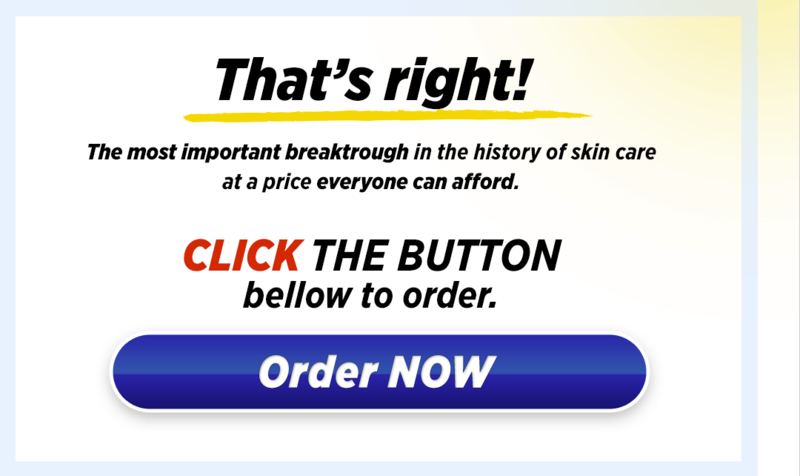 How does this BENEFIT your skin? Clinical trials have shown the amazing effects of stimulating the skin’s natural mechanisms. 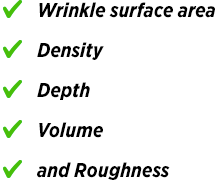 and most prominent signs of aging. after just 15 days, and up to 32% reduction of even your deepest wrinkles in 28 days! A reduction of collagen leads to fragile, wrinkled skin, but DermalRx HydroSeal has been clinically shown to stimulate collagen density by shocking 350%! Your outer most layer of your skin is a lipid barrier that provides protection from environmental elements and is essential to keep your skin healthy. With aging exposure this lipid barrier diminishes resulting in high transepidermal water loss. Ceramide Complex CLRK supplies skin with the critical molecules it needs to repair its protective lipid barrier, preventing water loss, and keeping your skin conditioned. from anything you’ve tried before? 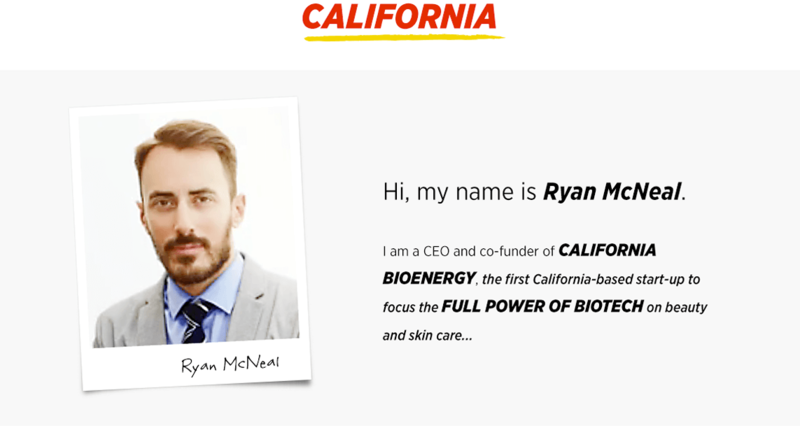 At California Bioenergy we are pioneering the science of bioenergy to reenergize your skin and reverse the signs of aging at the cellular level ! For younger looking, younger acting skin! So they wouldn’t have to put time and money into new scientific research. And if all the competing products are the same, why risk being different? Next, put this generic formula into a fancy bottle with a chic brand name on the label. Most times, the bottle itself costs more than the wrinkle serum inside. Then pay an actress or a supermodel to endorse the product even though she doesn’t use it. Finally, sell this product to the high-end department stores for ten times what it cost to make, where they mark it up again and hire teenage girls who don’t need anti-aging products to sell you on the latest miracle serum. ...for outdated science in fancy packaging with the word “Paris” on it, but was manufactured in China. We believe EVERYONE should experience the age-defying power of bioenergy and enjoy younger, healthier, more energetic skin. Getting your hands on a jar of Bioenergizing Anti-Wrinkle Serum can be DIFFICULT. ...But we had no idea it would become overnight skin care phenomenon. 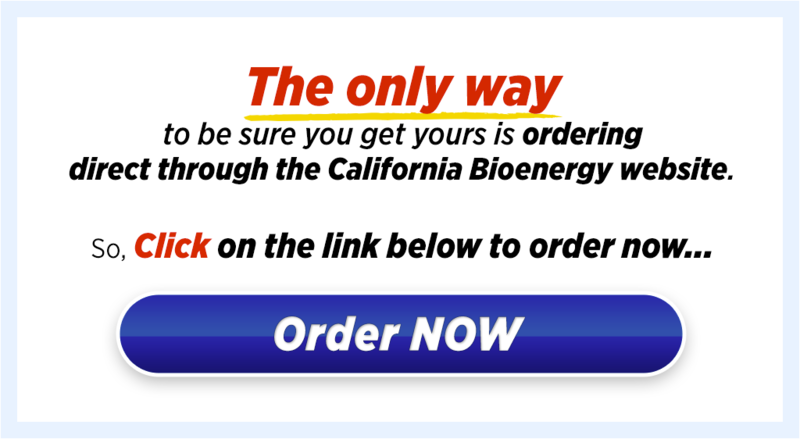 So, if you have been searching for California Bioenergy Bioenergizing Anti-Wrinkle Serum, you already know it’s become almost impossible to find. Don’t bother with Neiman Marcus – they don’t have it! Sacks 5th Avenue might order it for you. Maybe you’ll find it at Ulta or Sephora in a few months, if you’re lucky. ...And join the thousands of women who already experienced the stunning difference bioenergy can make in their appearance. 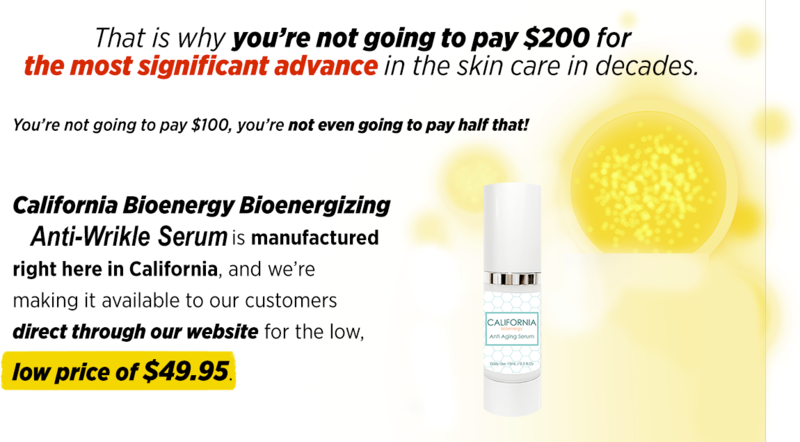 Best of all, you could try California Bioenergy Bioenergizing Anti-Wrinkle Serum RISK FREE! Please note: We are working furiously to scale our business, but the manufacturing process of the scientifically engineered bioenergizing formula is precise and complex. We literally can’t make that stuff fast enough! So until we can ramp up production... Supplies are extremely limited! goes on back order again. iron clad protection of the 60 day 100% money back guarantee. The perfect balance of biotech and beauty helps reenergize, restore, rebuild, repair, and replenish for younger, healthier, more energetic looking skin. 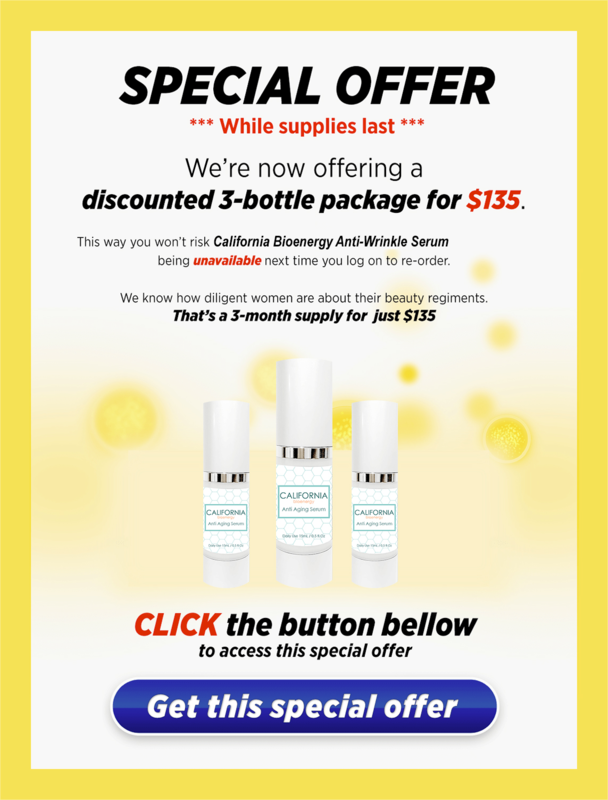 What is California Bioenergy Bioenergizing Anti-Wrinkle Serum? California Bioenergy Bioenergizing Anti-Wrinkle Serum’s advanced formula takes skincare technology to the next level. A sophisticated combination of powerful yet gentle ingredients work from the inside out to jump start your aging skin cells and restore your skin’s natural support structure. Bioenergizing Anti-Wrinkle Serum diminishes the appearance of the tired, wrinkled skin that comes along with aging. 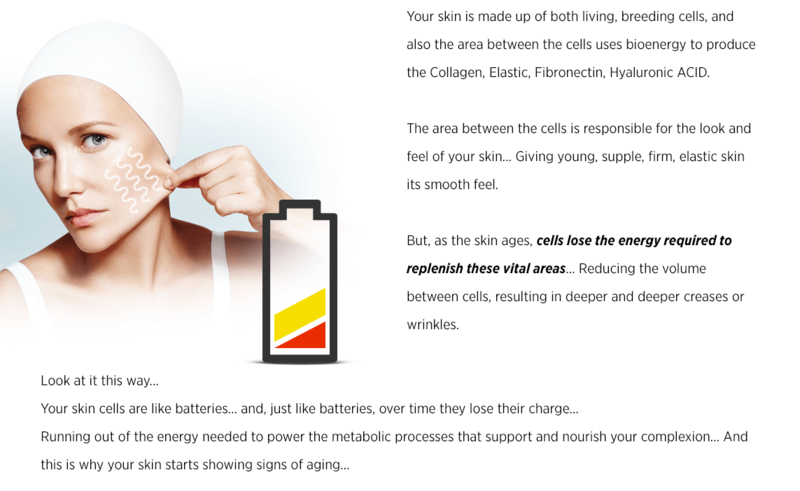 How does California Bioenergy Bioenergizing Anti-Wrinkle Serum work exactly? Bioenergizing Anti-Wrinkle Serum penetrates deep into the skin to jump start the production of your cellular matrix and support the overall structure of the skin. Powerful active ingredients work to give the skin a firmer, tighter, more energized look and help diminish the appearance of fine lines and wrinkles for dramatically younger-looking skin. What are the main ingredients in California Bioenergy Bioenergizing Anti-Wrinkle Serum? Matrixly 3000 use a combination of peptides, (Pal-GQPR) and (Pal-GHK), to naturally rebuild collagen and elastin... creating a smoothing effect on fine lines and wrinkles that visibly tightens and firms skin surface for a more youthful appearance. Argireline NP is the first anti-wrinkle hexapeptide with a Botulinum Toxin-like mechanism of action. It reduces the depth of the wrinkles on the face caused by the contraction of muscles of facial expression, especially in the forehead and around the eyes. DermalRx HydroSeal naturally diffuses into the skin to revitalize aging, energy-starved skin cells and reactivate collagen synthesis to replenish the skin’s natural barrier for firm, supple, elastic younger looking skin! Ceramide Complex CLR K restores the lipid barrier of dry and fissured skin, hydrating the deepest epidermal layers, restoring proper cellular function and renewing the skin’s natural ability to retain moisture. 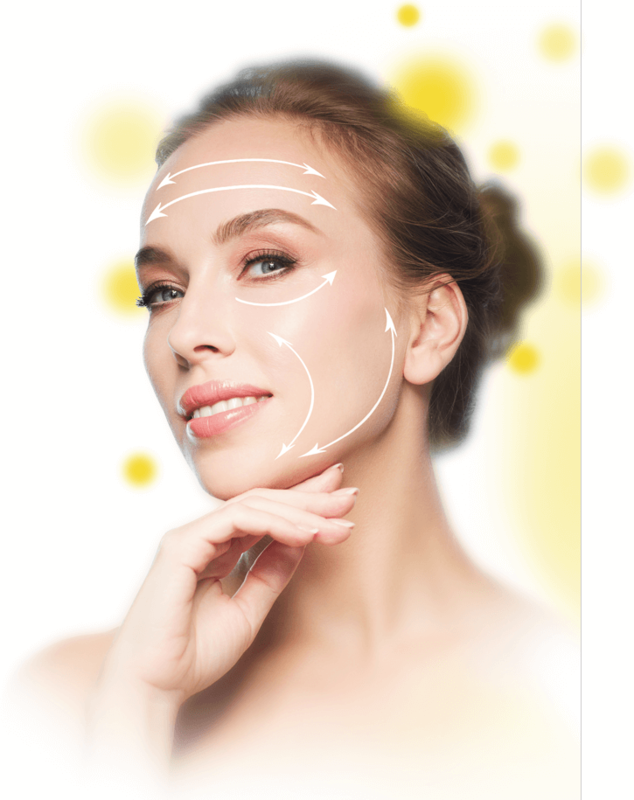 What makes California Bioenergy Bioenergizing Anti-Wrinkle Serum different from similar products? Many anti-wrinkle serums contain harsh ingredients that can damage the skin, including drying and flaking. Other formulas try to superficially apply collagen and elastin, which cannot penetrate the skin deeply enough to achieve dramatic, lasting results. California Bioenergy Bioenergizing Anti-Wrinkle Serum uses a unique, sophisticated blend of safe and powerful ingredients that deliver pure sources of bioenergy to aging skin cells to support your skin’s structure by restoring its natural rebuilding process, providing immediate results you can see and feel. 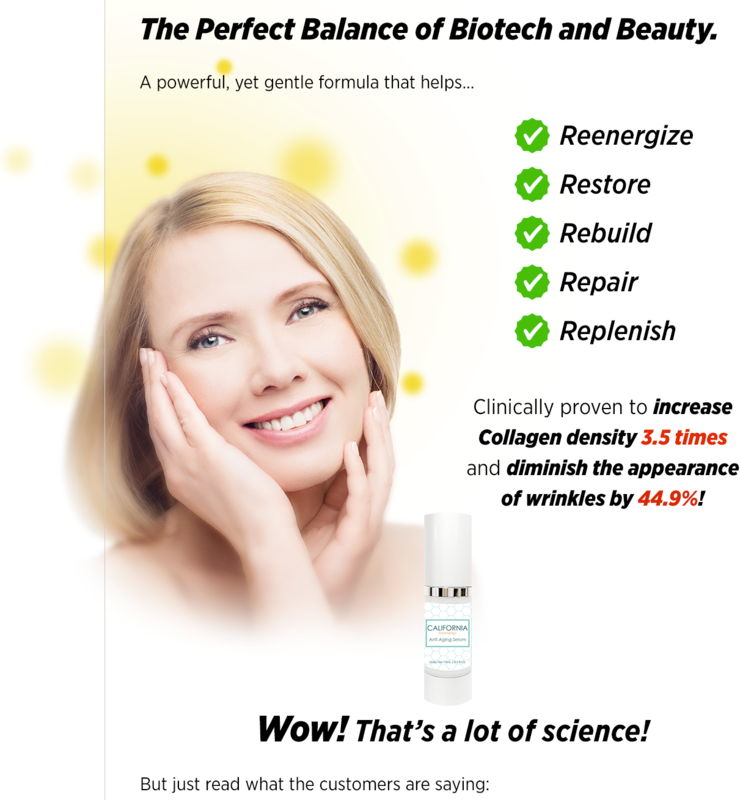 How do I use California Bioenergy Bioenergizing Anti-Wrinkle Serum? Apply California Bioenergy Bioenergizing Anti-Wrinkle Serum evenly over the face and neck up to two times per day. Place a small amount onto the base of freshly cleaned fingertips and gently massage into skin in an upward, circular motion. Be sure to include a bedtime application of Bioenergizing Anti-Wrinkle Serum in your skin care regimen, as this allows active ingredients to work alongside the skin’s natural nighttime regenerating processes. 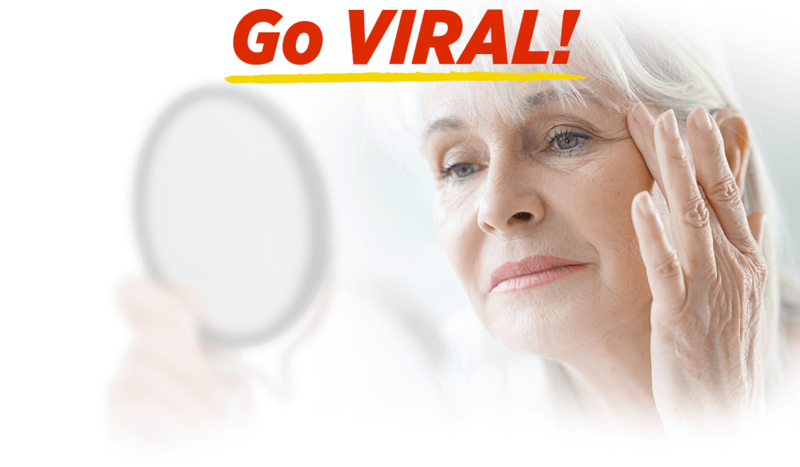 What is the recommended age group for California Bioenergy Bioenergizing Anti-Wrinkle Serum? 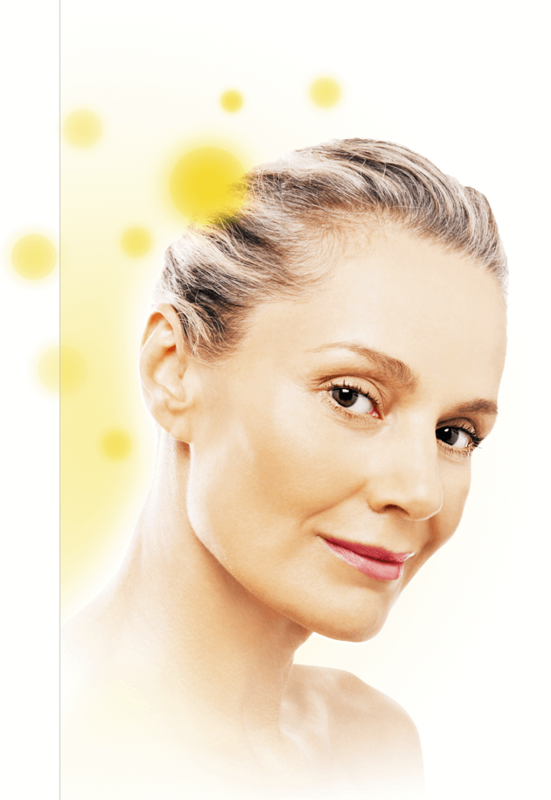 California Bioenergy Bioenergizing Anti-Wrinkle Serum is suitable for all age groups. Most of our customers consists of women over the age of 40. For more mature skin, its innovative formula can help reduce the existing signs of visible aging, while for younger skin, it can help prevent and delay the loss of bioenergy that causes wrinkles, fine lines, and the other tell-tale signs of aging. 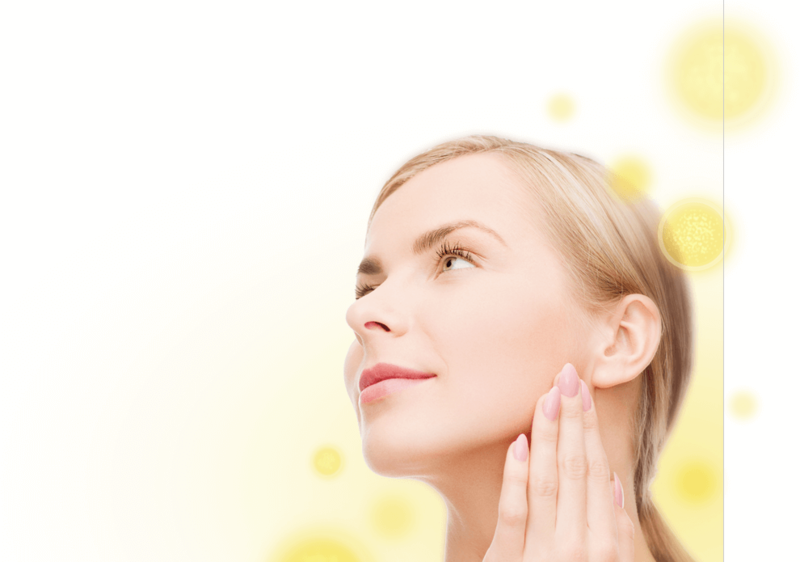 Is California Bioenergy Bioenergizing Anti-Wrinkle Serum suitable for all skin types? Absolutely. California Bioenergy Bioenergizing Anti-Wrinkle Serum is suitable for all skin types and does not run the risk of causing dryness, flaking, or excess oiliness. Will it work for men? Absolutely. We have many happy male patients as it can give a man just as spectacular energizing & firming results. No. California Bioenergy Bioenergizing Anti-Wrinkle Serum’s formula does not contain harsh ingredients that often lead to adverse effects. This complex contains safe and effective ingredients that should be safe for even the most sensitive skin. 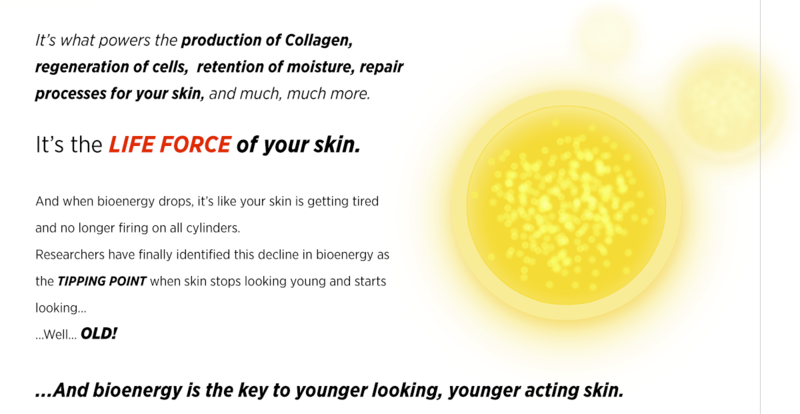 What does it feel like to use California Bioenergy Bioenergizing Anti-Wrinkle Serum? Shortly after applying California Bioenergy Bioenergizing Anti-Wrinkle Serum, you may experience a subtle firming and tightening sensation. The formula is absorbed into the skin almost immediately, leaving your skin soft, stimulated, and firm. Never sticky or greasy. Simple. You will be able to see it every day in the mirror! But noticing changes in our own appearance can be difficult. So we always recommend that you take a picture prior to your first use. Take your after photo about a month later and you can see the results for yourself! 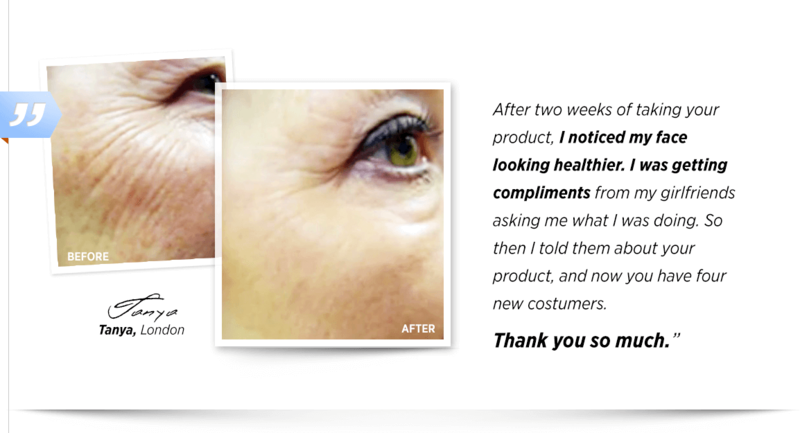 Women have amazing wrinkle-smoothing results in just two hours, visible reduction of deep wrinkles and improvement of skin firmness within 15 days, and better still, in 28 days (and beyond) women have seen even their deepest wrinkles look softer and less pronounced. But since every person’s skin is unique, everyone’s experience is slightly different. Can I use California Bioenergy Bioenergizing Anti-Wrinkle Serum around my eyes? Although our Bioenergizing Anti-Wrinkle Serum is formulated with gentle non-irritating ingredients, the skin around the eyes is significantly thinner than surrounding skin making it much more delicate and sensitive. That is why it is best to use products around the eyes that are specifically formulated for that area. Of course! Our mission at California Bioenergy is to create effective and affordable products that not only meet but also exceed your expectations. That is why we offer our industry best 60-day money back guarantee so you can test drive our products for two months and feel confident in your decision with absolutely no risk. On top of that, our expert customer service team is always here for you to answer any questions you may have about any of our products. Call us any time at 1-877-358-6883 or email us at support@bioenergyskincare.com and we will be happy to help you in any way we can. And finally, is California Bioenergy Bioenergizing Anti-Wrinkle Serum tested on animals? Absolutely not. None of California Bioenergy’s products have, nor will they ever be, tested on animals. If you have any other questions, feel free to call our customer support line or send us an email, and we will take care of whatever you need.